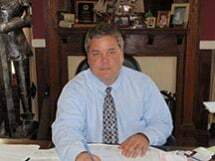 I have lived and worked in Glynn County as a lawyer since 1994. I specialize in representing people injured on-the-job and in motor vehicle accidents. I practice in all State Courts with the exception of Magistrate Court where I also serve as a Magistrate Judge. I have been a Magistrate Judge in Glynn County since 2001.